These days we're used to seeing the covers for Beano, Viz, and The Phoenix featuring one big image, but that wasn't the case decades ago. Covers featuring comic strips were often the norm, so it made a refreshing change to find this issue of Knockout on eBay from 1947 featuring a full page image. 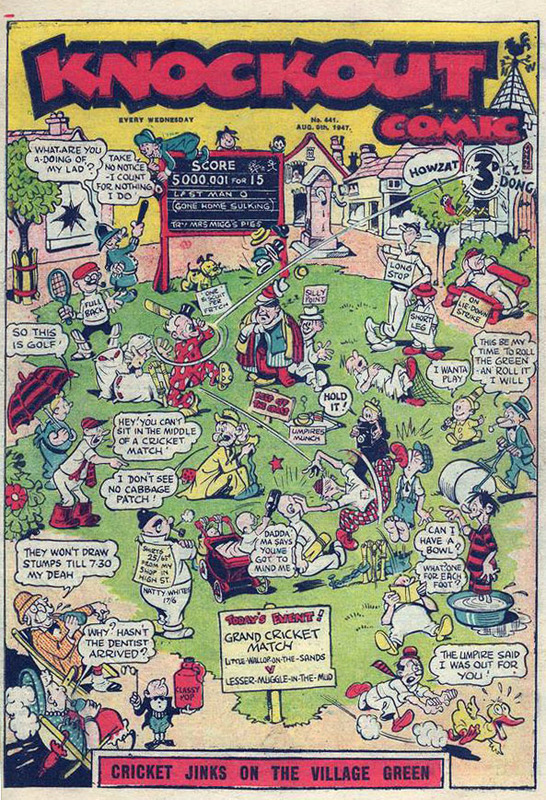 The artwork is by Hugh McNeill, who was an excellent, though sadly under-rated, cartoonist. 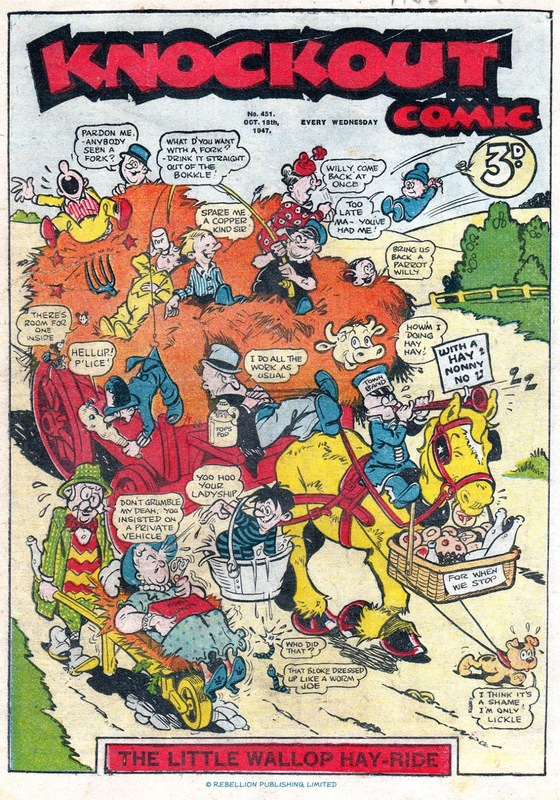 He was the first artist on Pansy Potter for The Beano in 1938, before moving on to the competition at Amalgamated Press to work for comics such as Knockout. I wasn't aware of McNeill's work when I was growing up as he was busily illustrating nursery comics then, which I hadn't read. However it's been a joy to discover his work in later years and appreciate just what an incredibly talented artist he was. UPDATE: My thanks to Peter Gray for sending me this scan of another issue of Knockout from the same period, showing another great cover by Hugh McNeill!